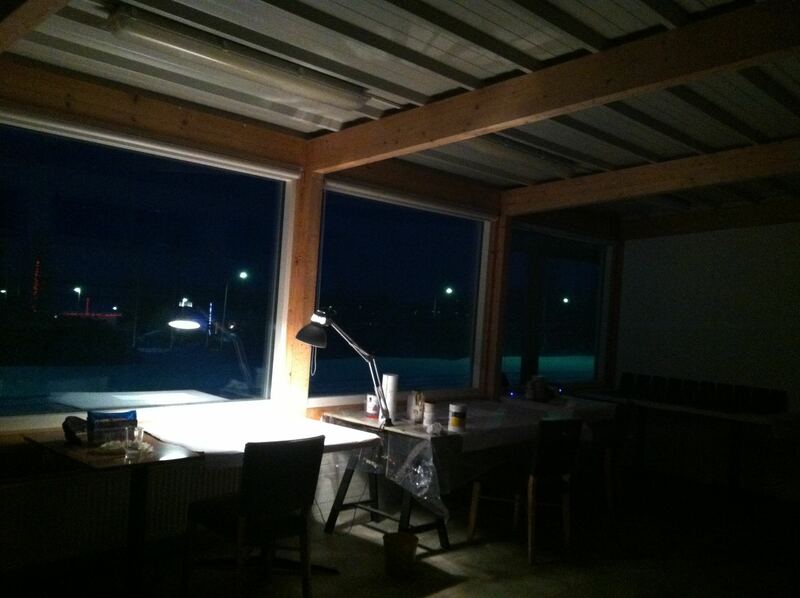 Rehash: Why an Iceland Artist Residency in winter? 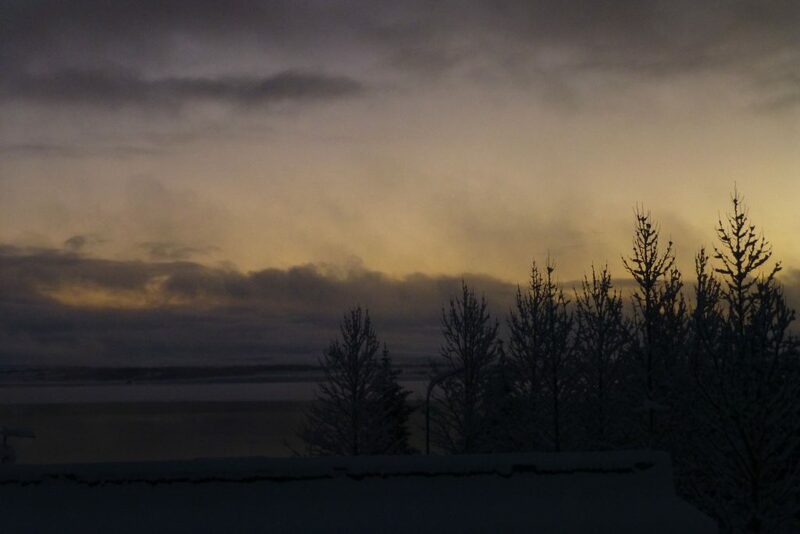 Someone in Finland’s Arctic Circle told me that 24-hour winter darkness made the world appear upside down. Dark in the sky, light on the ground. Same someone told me that there was time in that darkness when just enough light glimmered to turn sky and ground a seamless monochromatic navy blue. To give myself the opportunity to experience that which is greater than…as in AWE. A longing to dip into Isolation—void—quiet. To experience what can be seen in the dark. A black and white world! Wanting to ‘see’ the climate change impact in the far North. Having been to the Alaskan and Scandinavian Arctic Circle and the Antarctic the next logical place for me to experience ‘The Great Alone’ was the far North Island of Iceland. The previous 3 travels were done in their summer light so I felt the winter extremes calling me. It wasn’t the cold, which I would have gladly forfeited, but the 24 hour darkness that both appalled and appealed to me. The idea of darkness in a little populated place far away at the end of the Earth called to me. Darkness is a place of my long-held childhood fears and also a magnet for my wanting to know what mysteries and beauty it holds. 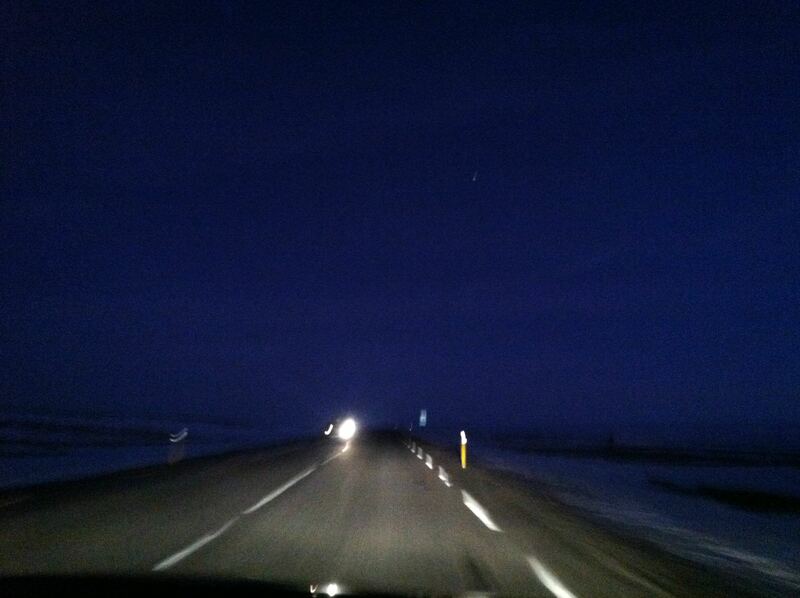 I was fortunate because Iceland being a volcanic Island held blackness in its land mass and its winter skies and seas. I woke in darkness, went to my studio in darkness and returned home in darkness. It was seamless, monochromatic and after a while knowing and soothing. The clear nights with overhead stars and eventually Northern Lights gave me a deep appreciation of cosmic beauty that is unseen in lit skies of city life. Seeing and hearing people and especially children in the small village where I resided go about their ordinary days in the dark gave me a perspective of the cycle’s normalcy. It is always important to note that I experienced my immersion in Iceland as an outsider not from the perspective of the people who live that landscape from generational knowledge and deep, fond attachment. The Edenesk shadowed by the menacing perspective that I have is that of someone finding themselves in unknown territory without the intuited preparation. After a few days of vast landscape views it occurred to me that being able to experience that vastness was because there were no trees obstructing the land’s lines. This never failed to astound me in a profound way. I could actually sometimes see the curvature of the Earth that made me feel astronaut-like. The phenomena of volcanic bumps and fissures and the North American and European plates slippage causing the Island to separate and subsequently fill-in gave my graphite acrylic and wood paintings their vocabulary reflected in their structure and titles. 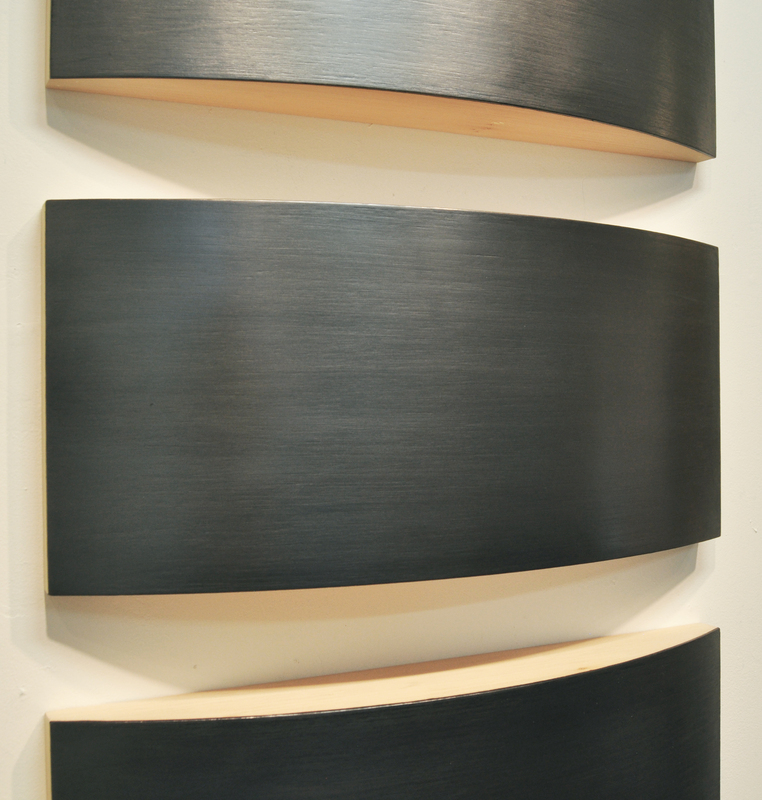 There are many layers of primer and paint on these pieces and they are sanded and burnished many times with a slow zen-like sensibility. This makes me feel like I am participating in the process of creating and refining a millennium of nature and weather. When completed they are as smooth as nature’s river rocks resonating the depth of maturity, timelessness and ancientness of the land. 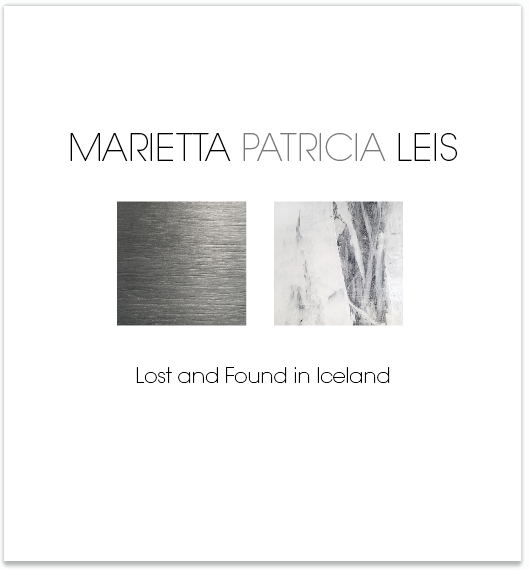 The seeming redundancy of the repeated dark forms of my pieces is how the endless Iceland landscape revealed itself to me. It goes on and on and on opening to more variations of patterns but consistent, restrained and heart-wrenchingly beautiful absolutely owning AWE. Of course in Iceland there was always ice under foot and tires—the dichotomy of glistening beauty and lurking danger. Blizzards of whiteout graced us with sky and earth becoming one. The various shades and nuances of the white defied the myth of white not being a color. Slowly but surely the whiteness would yield sparingly to the underlying black volcanic rock armature as white and black married into a compatible marble cake co-existence. Thus my dark landscape paintings called out for their counterpart and my white acrylic paintings complied while letting the black show through enough out of deference. These were done with a squeegee in an improvised calligraphy. I am hoping to seduce viewers with beautiful art reflecting my impressions of the land I experienced and the perhaps they will contemplate the planet’s wonders and want to preserve that. Further to think of the fragile future of our nether regions melting causing our oceans to swell and overtake our shores. Earth’s heartrending beauty could be changed and forever subsumed.